Not to be confused with the Pow Bridge (NN 51776 00396), for which see NN50SW 23. This bridge carries Manse Road (an unclassified public road) over the River Forth between Aberfyle (to the NNE) and Kirkton (to the SSW). It is the highest bridging point over the river. Information from RCAHMS (RJCM), 26 May 2010. 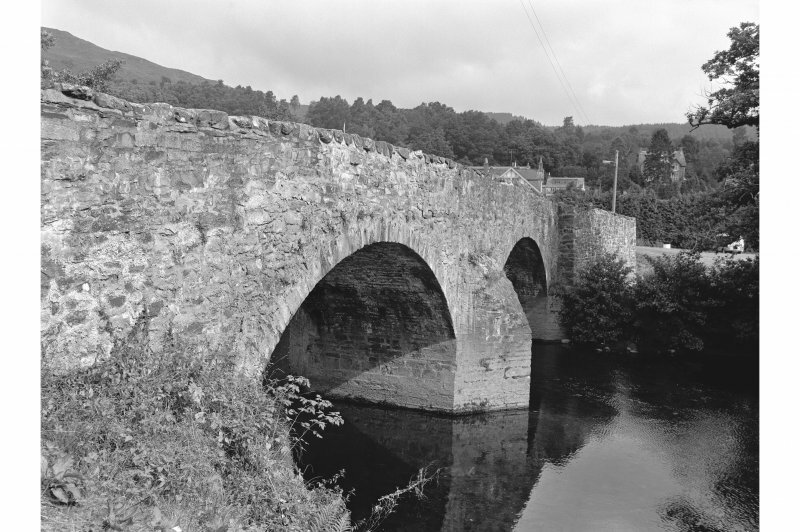 Also see under Aberfoyle, Pow Bridge for reference which may relate to either bridge. Payments to James Simpson, Mason. Aberfoyle. Repair of the Bridge over the Water of Forth. Estimate making good the foundation, repairing the tops of the middle pillar, making up the ledges and soping the whole on both sides. Attested by Alexander Gowan, Mason.